﻿ FAQs | PrimeCare Nursing Services, Inc.
A: PrimeCare provides companion care, respite care, personal care and skilled nursing services. Our home care services are designed to provide assistance to seniors, as well as disabled adults and children with activities of daily living allowing them to remain in their homes safely and with dignity. Our home care services include fall prevention, medication and fluid reminders, light housekeeping, nutrition management, grooming or bathing assistance, ambulation and transfer assistance and running errands. Q: Do you provide services in assisted living facilities, hospitals and nursing homes? A: Yes. People sometimes discover that the assistance provided in an assisted living facility is not sufficient to enable them to remain independent. In these cases, PrimeCare provides a qualified caregiver to make this possible. A: Generally, services can be provided within a 48-hour window following the initial evaluation. Q: Does Primecare provide Skilled Nursing Services? Q: What is the difference between Home Care and Home Health Care? A: PrimeCare Nursing Services is a licensed Private Duty Home Care Provider that provides non-medical care by having a caregiver assist a client with activities of daily living (bathing & grooming, light housekeeping, meal assistance, errands, assistance with medical appointments & medication reminders, assistance with transfers and ambulation, assistance with continence care), companion and sitter care. These services are provided by a personal support aide and are usually provided over a continuous amount of time in the client’s place of residence (home, hospital, assisted living facility or nursing home). Some home care providers can also provide skilled nursing services. 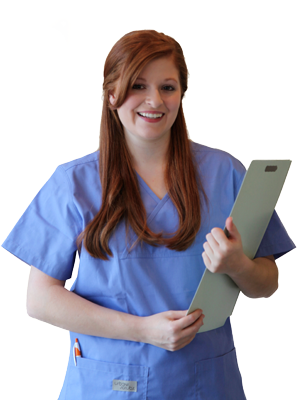 A licensed Home Health Care agency provides medical care and bath assistance. Services include physical therapy, speech therapy and occupational therapy which are offered by a licensed therapist. Skilled nursing visits including wound care, IV therapy, client education and other services which are provided by nurses. Bath visits are completed by home health aides. All visits are completed when the task is completed and does not take place over a continuous amount of time. Services do take place in the client’s residence. Q: Does Medicare or Medicaid help cover the costs of Home Care? A: Our current coverage providers include: Medicaid, worker’s compensation, approved insurance, long-term care insurance and VA benefits. PrimeCare will assist in determining eligibility and coverage with any insurance plan. Home care services are not provided by Medicare at this time. Q: Can VA Benefits be used for Home Care costs? A: Yes. Wartime veterans and their surviving spouses, 65 years and older, may be entitled to a tax-free benefit called Aid and Attendance provided by the Department of Veteran Affairs. This benefit is designed to provide financial aid to help offset the cost of long-term care for those who need in-home care to assist with activities of daily living including bathing grooming, meals, toileting and transferring. Q: Do caregivers have specialized training in Alzheimer’s, catastrophic care and other special diagnosis/conditions? A: PrimeCare caregivers receive training on specialized equipment, one-on-one training for client’s with specialized diagnosis/conditions, refresher training at PrimeCare’s Training Center and continuing education and in-services to remain knowledgeable and current on nursing trends and developments in the healthcare field. Q: How closely are our Caregivers supervised? A: All members of our Care Team receive a 90-day and annual evaluation to ensure compliance with company policy and state regulations. At least every 60 days, our clients receive a face-to-face visit from our nursing staff to ensure satisfaction with services and assigned caregiver. Also, as part of our quality assurance to you, we randomly contact clients via phone to perform satisfaction surveys. In addition, all caregivers are required to attend in-service meetings at least twice a year for continuing education, to discuss developments in healthcare and any company changes or concerns. Each member of our care team is supplied an employee handbook which details responsibilities and policies to which they are held accountable. Q: Do caregivers work nights, weekends and holidays? A: PrimeCare Nursing offers services 24 hours a day, seven days a week. A: PrimeCare Nursing Services is licensed by the Georgia Department of Community Health, Healthcare Facility Regulation Division. We’d love to hear from you! Contact us and we’ll get your questions answered.